When you need a quiet and relaxing corner with soothing colors and patterns, think of Sunbrella Baltimore Herbal. 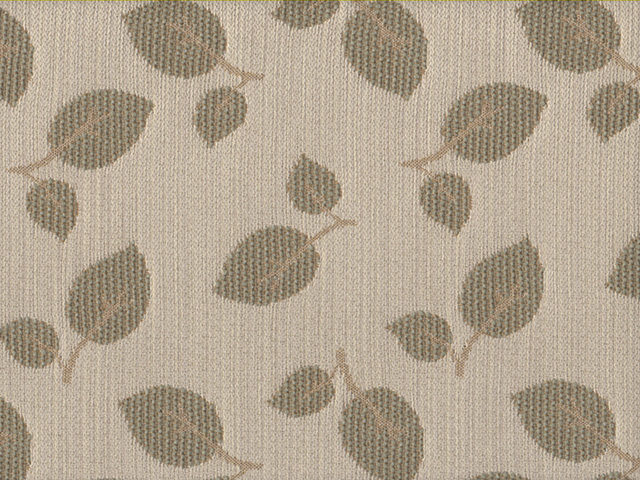 The soft grey-green fabric has leaves woven into it. The scattered leaves are reminiscent of a bed of herbs in a verdant garden. You can almost smell the sweet and distinct smell of herbs as you relax on a pillow or a cushion, close your eyes and let your memories take you back into a herbal garden with this beautiful fabric. The fabric is ideal for making cushions or pillows or to cover your chair or couch.